When you restore a disk image in Disk Mode, all partitions on the target disk — along with all data on them — must be deleted. This confirmation page is your final warning. 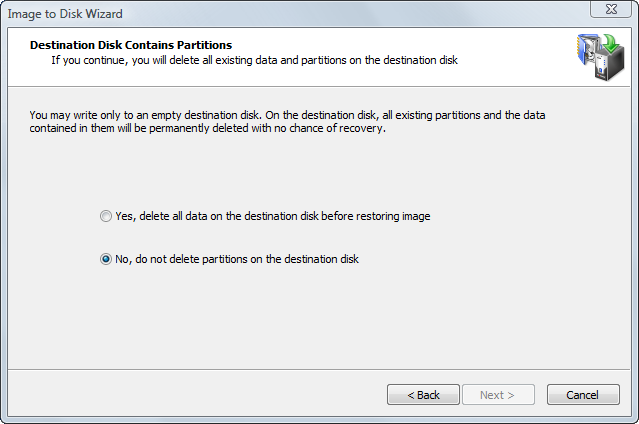 To proceed, select Yes, delete all partitions on the selected disk and click Next.